Emotions impact what we do with our time and how we show up for our time. We are driven by our emotions and it impacts everything that you do throughout the day. To bring the best of ourselves in the way that we show up with our time is to eliminate emotional distractions. It’s a matter of managing emotions and how we deal with the emotional side of our brain so that we can show up at our best for each and every moment. 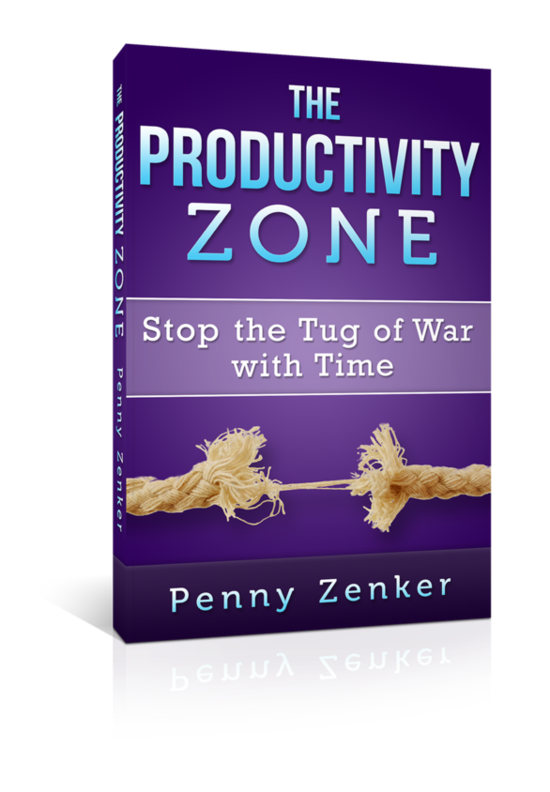 Learn how you can create awareness, manage your emotions, and let go of unproductive emotions so you can manage your time and be more productive. I want to talk about one way to take back our time, meaning to bring the best of ourselves in the way that we show up with our time so that we can eliminate emotional distractions. I want you to think about how emotions impact what we do with our time and also how we show up for our time. Emotions are important because we have two sides of our brain. We have the logical side, but then we have the emotional side. Most people when they want to have better productivity and time management, they look for more skills on what to do. Time blocking and scheduling and using different apps are all well and good and there are some great strategies and tips and tools out there, but the problem is we don’t consistently do what we know. We can have all the best resources and tools and whatnot available to us, but we don’t use them. Why is that? Managing Emotions: We can have all the best resources and tools and whatnot available to us, but we don’t use them. The reason we don’t use them is because of the emotional side. We’re emotional beings and we’re able to rationalize things with logic. We are driven by our emotions, and if you think about it, you know that’s true. You know that if you’ve had a fight with someone and it’s still on your mind, it impacts everything that you do throughout the day. It takes up some energy, if not a ton of energy that keeps you from giving your attention and focus on whatever it is that you’re currently present with. It’s a matter of how we deal with the emotional side of our brain so that we can show up at our best for each and every moment. We change the meaning of some of the events that we’re experiencing or creating as a result of those emotions. We can immediately make ourselves more productive. The first thing that I want to talk about is creating awareness. Most people aren’t even aware of where their emotions primary lie. If you had to write down the top emotions that you live in, what would they be? The top four emotions that you experience on a regular basis every day. Write those down and then write down next to those emotions what percentage of time do you experience those emotions on a daily basis. I did this exact same exercise with one of my clients because he wasn’t getting where he wanted to, and he was very frustrated. I noticed that this was a pattern for him, this pattern of frustration, and it was keeping him from being as productive as he could be. It kept him from focusing and being present in the moment very often in his career, also in his education because he was pursuing higher education and also with his family. What he found out through this very simple exercise was that he spent 70% of his time in frustration. Imagine that if that’s the energy that you’re carrying around and you’re interacting with other people in, what kind of experience are you not only having for yourself, but what experience are you creating in your relationships when you’re speaking and you’re speaking at a frustration? Even if it’s not frustration with them, it could be general frustration about something else that was triggered in your life or in your day. The thing is that you’re bringing that energy to everything that you do. He recognized that he was not being present with his children and enjoying the time that he had with them. For instance, he would say if they went out and the kids were fidgety, he would get frustrated. Instead of creating a different type of energy to accept his frustration, it created more resistance and probably created also more bad behavior from his children, which was the very thing that was frustrating him in the first place. It’s like Catch-22. I want you to think about where these emotions are. What’s the highest unproductive emotion that you’re experiencing through the day and how can you let that go? For him, being aware of it and being shocked at the high level of a percentage that he was living at was enough to shock him into every time he started to feel that frustration well up in his body. He would take a deep breath and he would let it go and say, “This is not my intention. This is not what I want.” He would let it go, and you can only do that when you’re aware of it. I want you to create that awareness and when these emotions come up for you, recognize them. When they’re positive emotions, you can celebrate them. When they’re unproductive emotions, then you can look to reframe it and to shift it. Once you’re aware of it, you can do that. You can reframe it or let it go faster if you can ask a simple question like, “What does this mean?” What meaning are you currently giving the situation that you’re in that’s creating this frustration? He was giving it the meaning that people would see him as a bad parent. That created frustration for him. Ask yourself a simple question, “What else could this mean.” It could mean that he’s not present and so therefore a way for them to get attention. There was a time where something dramatic happened in my business and I felt like giving up and I was close to feeling so heavy about it, but I asked myself that question and got perspective by asking it several times. Instead of picking the meaning that would have me shut down my business, I picked the empowered meaning that came when I asked that several times that made me more motivated and inspired than ever to take my business to the next level. Those extremes are totally possible from any circumstance or situation. You could call it the silver lining or finding the best in every situation. This is a means a way to do that and it’s real. You can choose and there are different meanings that can be interpreted from any situation. It’s up to you to decide which one you’re going to choose. You can’t choose for someone else, that’s up to them, but you can choose for you. You can choose and shift into a more productive emotion and that emotion is going to give you more presence. I’m happy to say that with this little shift about getting perspective and being able to choose a different meaning, that, in itself, shifts your emotions. You can choose and shift into a more productive emotion and that emotion is going to give you more presence, it’s going to give you more focus, and it’s going to give you more drive. It’s going to make you feel happier and more fulfilled in your life when you choose the positive emotions that drive you, and it’s that simple. That’s one of the ways that we can optimize how we show up for our time. I challenge you. What did you recognize in the four top emotions? Was there one that was unproductive that’s actually sucking some life out of you and what are you going to do about it? Take this simple solution next time that you feel it come up or any other emotion for that matter that maybe you don’t experience on a consistent basis, but that pop up from time to time and keep you from being your best. I challenge you to use this new method. I would love to hear about what results you get from it.